Have you seen this idea before? 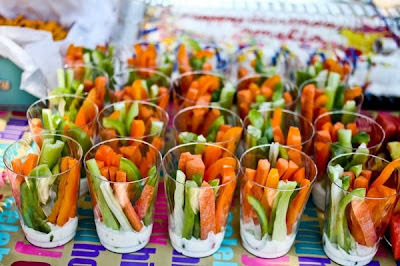 Such a GREAT way to serve veggies at a bridal or baby shower - or any party for that matter! Just grab your clear plastic cups, pour some ranch into the bottom, then place your veggies standing up tall! 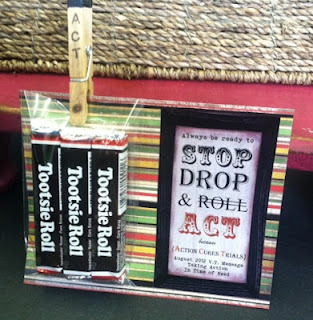 Have you seen this fun idea floating around the web? Well, we loved it and decided to make our very own to share with you! So here they are... complete starting from Preschool to 12th grade, and even one for mom to hold! That's right! We will be on TV live this Wednesday, August 11th at 11:00 a.m. to show some fun ways to kick off the school year. 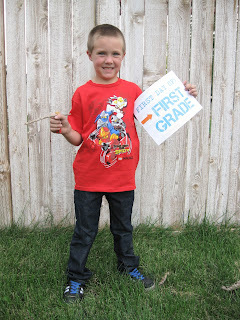 Along with some gift ideas that you can give your kids, she will share some free printables! Don't we all take pictures of our kids all dressed up in their new school clothes? We've created a little sign for your child to hold documenting what grade he/she will be in. Think of how cool a collection of these over the years would be. Detour Deal of the Day! If you have been downtown Lehi lately, you have surely noticed the (!!!) construction going on. We are planning LOTS of fun things in our store to make up for the dirt and dust and detours around us. But before we post our "construction calendar" - here is a little deal for you! Our black and white wooden signs are 25% off (in store only). We have an amazing coupon we are handing out as well with any purchase. AND... if you shop online only, we have one for you! Enter "detourdeal" in as your coupon code at checkout, and enjoy 15% off your entire purchase! Good thru August 10th. Make sure you're a Facebook Friend to stay up to date with all that's going on at Pioneer Party - we post sales, have contests, and keep you up to date on our latest products. Have a good week!